CRAZY DISCOUNT! 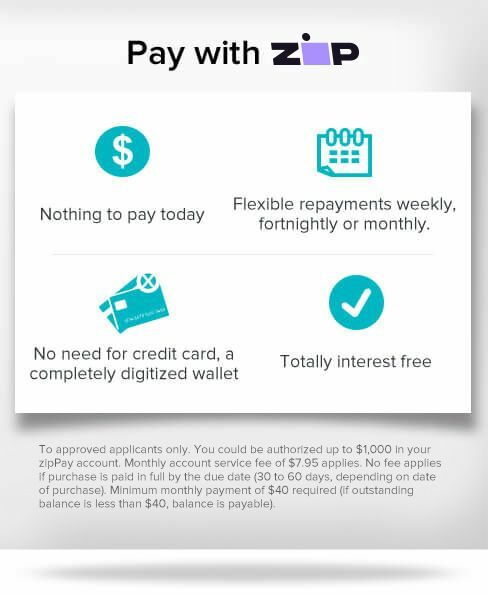 Was: $699.95 Now: $359.96! 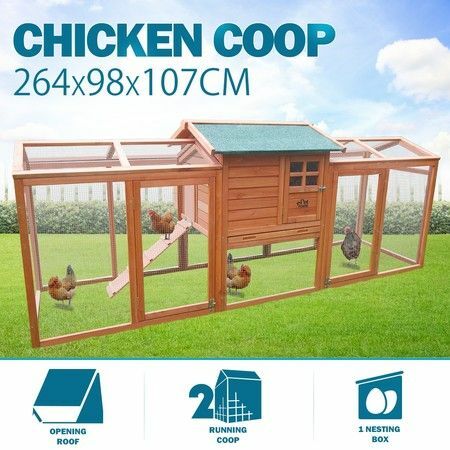 Give your chickens a home of their own with 2.6m extra-large chicken coop with outdoor run. 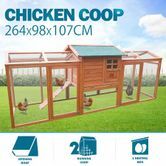 Thanks to its solid wood construction and waterproof finish, the chicken coop will endure years of use with regular maintenance in your backyard or farmland. The chicken cage has two storeys, mesh cover with metal slide latches, ensuring your flock of rabbits, ducks having a safe and secure retreat. The chicken run also comes with two spacious closed play area, offering an outdoor space for your poultry to move around without fear of any outside threats. The integrated nesting box provides a perfect place to lay and store eggs. The opened roof and pull-out tray design will make cleaning the rabbit cage effortless. Two spacious integrated ground enclosed play area for moving around without the fear of predators. Great Product as described good quality. Happy bunnies. Thank you.